Junior bookkeepers, accounts receivable and accounts payable clerks, and office administrators will all share that their most time-consuming work is data entry, coding and bank reconciliations. However, there is software available which almost totally automates this work — and it’s becoming increasingly accurate and speedy. I recently wrote about the integration that Reckon One have with AutoEntry. Some time ago, I also did a post about the receipt service, ShoeBoxed (which now appear to be called Squirrel). And, of course, there’s this very blog about receipt scanning software integrations with Xero. It seems to me that now is a good time to write about receipt services again. 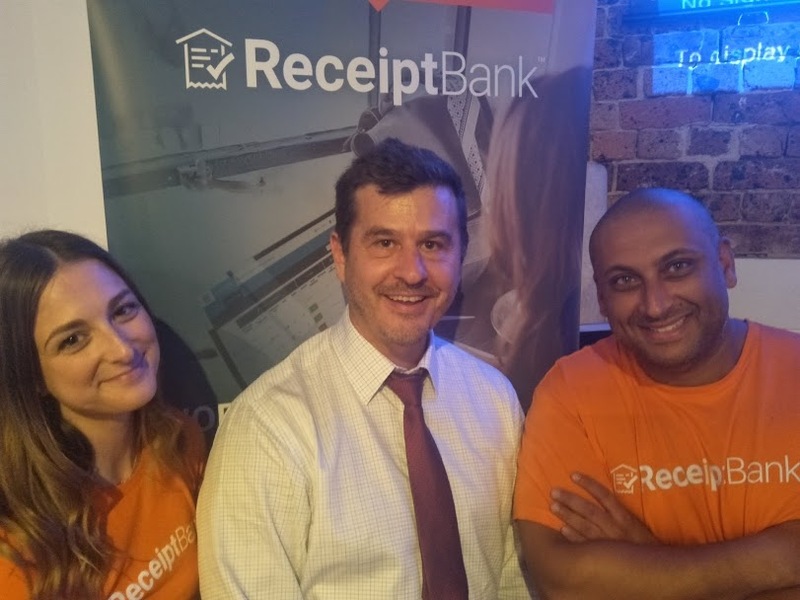 This is because the market leader, Receipt Bank from the UK, is making a big push into the Australian market. I attended a dinner put on by Receipt Bank last week. A bunch of accountants, bookkeepers and some business owners also went, and dinner was followed by a presentation and Q&A session. This covered the many features and capabilities of Receipt Bank software. Bookkeepers and BAS agents (and even accountants) have a choice. They can either continue to “over charge” for the low-level data entry and coding of transactions and basically get push back from their clients. Or, they can act as the agent of change to help their clients adopt new technologies. I would think this is nothing but a win-win for both. It helps reduce the time involved in communicating back and forth to get basic information from source documents like receipts and saves clients money. The quality BAS agents and bookkeepers I’ve spoken with this year have revealed themselves to be basically “nerds”. By this I mean they are people who throw themselves into new technology. They realise there’s a huge range of new cloud-based services and apps which will save them time and enable them to charge a higher rate for their BAS services and training. Charges higher rates for higher value BAS Services and Payroll Administration. While we’re on this track, it’s important to know that there is competition to Receipt Bank. Competition is a good thing. It makes companies price competitive and give us the power to negotiate. Below is a list of some of the other receipt scanning apps that our team has discovered. If anyone has any feedback on any of these please share it with us — we’re happy to feature you and/or your business in one of our blogs! Did Xero try to acquire Receipt Bank? A little birdie told me that Xero tried to acquire Receipt Bank. Whether true or not, it makes sense, but so too does having payroll functionality in your accounting software! 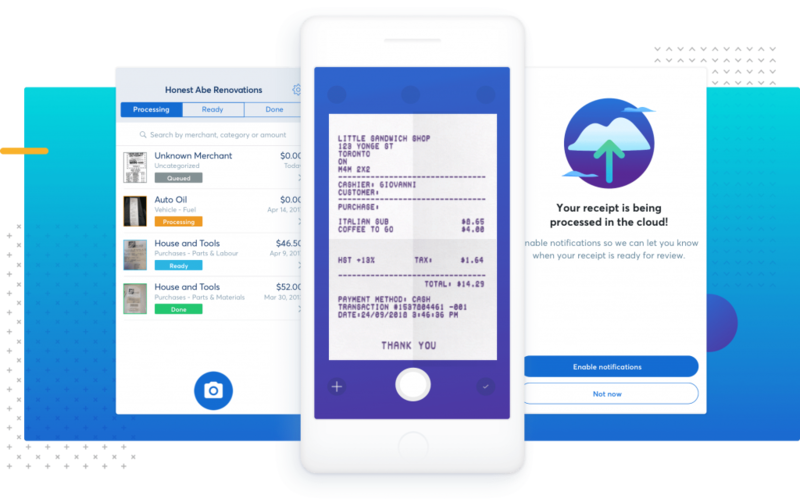 In our search for receipt scanning software, we discovered that there is one software company that provides a receipting service via a smartphone app — and IT’S FREE. In fact, the entire accounting software from Canadian software company, WaveApps, is FREE and they only charge for the value-added services of payroll and merchant services. But not all Receipt Scanning software is created equally. The features that make Receipt Bank stand out is how quickly the data from a receipt is extracted to the cloud. From here it must be inserted into your online accounting software like, Xero or QuickBooks Online, and then CODED correctly, ready for bank reconciliation. We found the process to take about 9 minutes (it was 24 hours only a year or two ago). Receipt Bank also pride themselves on the level of accuracy with approx 2,500+ suppliers in their system. This means that bookkeepers or business owners can spend LESS time finding out who the actual company is and what the product or service was. Instead, they can get on with some real work that generates real revenue! Whatever your opinion of receipt scanning software and automatic coding, this is the future. If you are not the person advising your clients to use it then it could be another bookkeeper trying to take your clients away — while giving themselves less work but of a higher value! Keep up to date with trends, changes and business case studies. We also write about EzyLearn course content updates, freebies, announcements, opinions from our CEO and special offers. 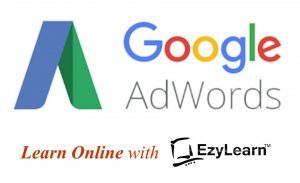 Subscribe to our EzyLearn Blog.